Muslims around the country observed 93rd death anniversary of their leader Hazrat Imam Ahmed Raza Khan.Several thousands also came from outside country to attend the ceremony at dargah Ala Hazrat at bareilly city of Uttar pradesh. Hazrat Akhtar Raza Khan Azhari Mian and Hazrat Subhan raza Khan Subhani Mian presided three day long Urs ceremony at Jamiaturaza and at Islamia Inter Colege field respectively.At least 10 lac Muslims attended the gathering and offered fateha and join Dua on last day of the celebration on 20th jan 2012 . Sunni Leaders around the country spoke extensively about the contribution of this great Mujaddid and his pious son hazrat Mufti -e-Azam (R.A). Allama Fazle Haq Khairabadi Zindabad Maslake Ala Hazrat Imam Ahle Sunnat Imam Ahmed Raza KHan Pindabad. Let me quote Maulana Ahmad Raza Khan Bareilavi’s Fatwa in response to one of the query! 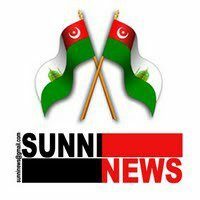 There also is unanimity among all Sunni scholars that taking out Tazia procession, is a Bid’at. Shocking:Electronic Voting Machines EVMs at Home , Question mark on Elections in India? TIME MAGAZINE Poll 2014;Narendra Modi’s supporters doing fraudulent voting ?